The study has been initiated to discover key mechanisms in Alzheimer’s disease, Parkinson’s disease and other neurodegenerative disorders for the development of early and accurate diagnostic tests, identification of novel treatment targets and to help understand the links between different pathologies and clinical symptoms. Biomarkers For Identifying Neurodegenerative Disorders Early and Reliably. BioFINDER is based in Sweden and collaborates with leading scientists, universities and companies world-wide. The aim is to discover key pathological mechanisms in Alzheimer’s disease and other neurodegenerative diseases such as parkinsonian disorders. This is investigated in several large, longitudinal, prospective cohorts of more than 1600 patients with mild cognitive symptoms, dementia and parkinsonian symptoms as well as cognitively healthy elderly. 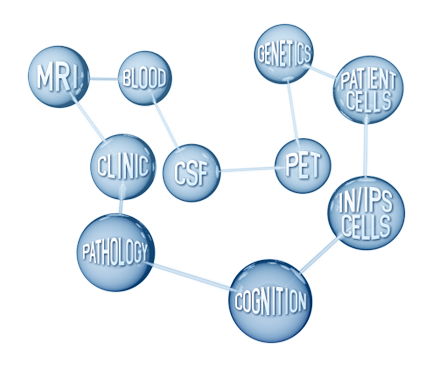 The subjects undergo examinations repeated bi-annually and including advanced MRI (fMRI, DTI, DKI, ASL and MPRAGE), CSF and plasma analysis, amyloid and tau PET, detailed clinical assessments and neuropsychological examinations. Skin biopsies of fibroblasts are also collected and reprogrammed to Induced Neurons (IN) and Induced Pluripotent Stem cells (IPS). Generated knowledge will be used to develop accurate and early diagnostic methods, identify novel treatment targets and understand the link between different pathologies and clinical symptoms.